Delta Air Lines unveiled plans to introduce “Economy Comfort”– a premium economy cabin product launched on long-haul international flights earlier this year – to its entire mainline fleet of more than 550 aircraft, in addition to more than 250 two-class regional jets. The new seats will feature pitch of at least 34 inches or more. Delta’s standard Economy Class seat pitch is currently 31 inches. In addition to more leg room, customers seated in Economy Comfort will enjoy Priority Boarding. The expansion of Economy Comfort is the latest in Delta’s previously announced plan to invest more than $2 billion in enhanced global products, services and airport facilities through 2013. In addition to Economy Comfort, Delta is adding more First Class seats and in-flight entertainment to its domestic product; offering flat-bed BusinessElite seats on its entire international widebody fleet; adding personal, in-seat entertainment for both BusinessElite and Economy class customers on all long-haul international flights; adding in-flight Wi-Fi service to all domestic two-class aircraft, including regional jets, with a First and Economy class cabin; updating Delta Sky Clubs throughout the system; and building new terminal facilities for international customers at its two largest global gateways – Atlanta and New York-JFK. 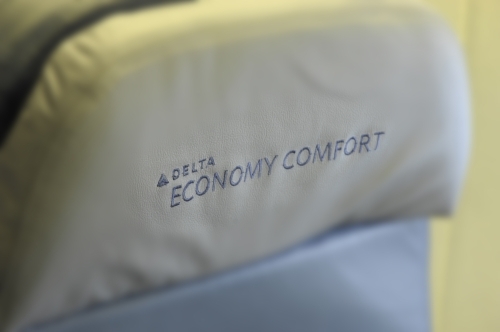 Customers who have purchased an Economy ticket on Delta will be able to choose Economy Comfort seats for an additional introductory fee of $19-$99 on a one-way itinerary including Alaska, Hawaii and short-haul international markets. Economy Comfort seats can be reserved through delta.com, kiosks, and Delta reservations beginning in late spring for travel in summer 2012. Similar to Delta’s long-haul international Economy Comfort product, complimentary access to domestic and short-haul international seats will be available at booking to all SkyMiles Diamond and Platinum Medallions and customers purchasing full-fare Economy class tickets. Gold Medallion members will also have free access to these seats at time of booking, while Silver Medallions can purchase them at a 50 percent discount off the fee at time of purchase or can access these seats for free at check-in. 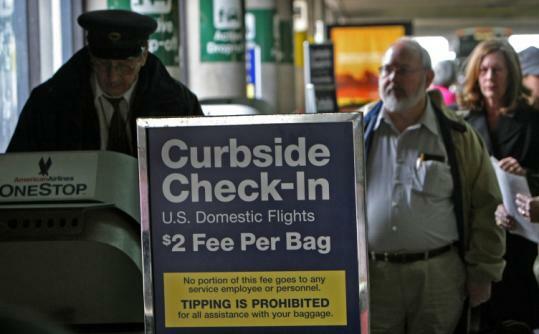 American Airlines is expanding its Curbside Check-Inservice to give customers traveling internationally the opportunity to check their bags with the skycap — making their trip through the airport as smooth as possible. Curbside Check-in is available to all customers traveling to an international location, including countries that require a visa, making American the only airline to provide a convenient service of this kind. Since September, American has been expanding the enhanced service to 28 airports that currently offer domestic Curbside Check-in, including American’s cornerstone markets — Los Angeles, Dallas/Fort Worth, Chicago O’Hare, Miami and at New York’s John F. Kennedy International Airport. Thirty-one additional U.S. markets will offer the new services by the beginning of November. Curbside Check-in gives customers the convenient opportunity to book, purchase and check-in from home, drop their bags curbside with a skycap and move directly through the security check-point to their gate in a smooth process. The service also provides flexibility for customers traveling with a large number of bags or who simply prefer to bypass the ticket counter. Curbside Check-in to international locations will coincide with regular ticket counter hours and will be available to customers who use online flight check-in, electronic tickets, and those with or without pre-reserved seats.